The Budget is just a small but nevertheless, a good beginning and one hopes that in the opening remarks made by the Finance Minister on 6th July, 2009 outlining the policy objectives of the new Government, there lies a portent of greater and more radical change for the education sector. If the Ministry of Human Resource Development sounded the bugle with a 100-day plan for education, the Finance Ministry has echoed the need for focus on female literacy, subsidising the financing costs for higher education, role of Information and Communication Technology (ICT) in education, upgradation of polytechnics and expanding the coverage of Indian Institutes of Technology (IITs) and Central Universities. India plans to spend 9 billion Indian rupees (US$189 million) on education programmes using ICT in the fiscal year to March 31, 2010, the Finance Minister said. India needs to convert the demographic advantage that its relatively young population gives, into an economic advantage by providing them the right education and skills, he added. The minister also announced a 20 billion rupee hike in spending on higher education, including on setting up new IITs. The IITs have over the years provided key engineering staff for Indian and multinational technology companies. India's outsourcing industry benefits from the country's large number of low-cost and highly trained staff. The immediate benefit from the budget for India's outsourcing industry is, however, likely to come from the extension of tax holidays for exporters up to the fiscal year ending March 31, 2011. The minister said that he was extending these benefits to help tide exporters over an economic slowdown. 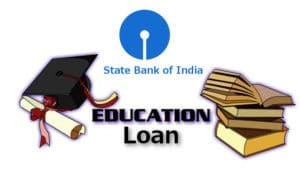 The Union Budget 2009-10 has declared a scheme to provide full interest subsidy during the moratorium period on education loans taken from scheduled banks for pursuing any of the approved courses of study in technical and professional streams from a recognised institution in India. The scheme will be available to students from economically weaker sections to access higher education. Besides, the tax deduction under IT Act 2000-Section 80E allowed for interest on loans taken for pursuing higher education in specified fields of study, has now been extended to cover all study fields, including vocational studies. Despite the introduction of universal access to secondary schools in the country, school education received a miss in this budget. The focus instead seemed to be on higher education -essentially as a fulfilment of the government's strategy to introduce a university in each state. Funding for higher education focused on setting up central universities, IITs and National Institute of Technologies (NITs) in uncovered states, and on the expansion of vocational courses. 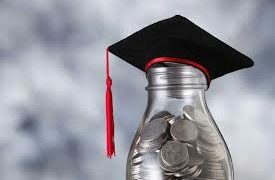 The Higher Education Budget for the current fiscal has been pegged at INR 15, 429 crore (INR.154.29 billion), including a planned allocation of INR 9, 600 crore. During the last financial year, the total allocation was INR.11,340 crore. University Grants Commission (UGC) has been provided with an allocation of INR 4,374.95 crore, which includes expenditure for both Central and Deemed Universities. The allocation for Central Universities includes a provision of INR 1,033 crore for implementation of Other Backward Castes (OBC) reservation in terms with Oversight Committee recommendations. Provision of INR 900 crore for “National Mission for Education through ICT”. INR 827 crore allotted for one Central University in each uncovered state. Provision of INR 215 crore for Indian Institutes of Science for Education and Research (IISERs). Provision of INR 3,902 crore for Technical Education that includes provision towards assistance to IITs, Indian Institute of Management (IIMs) and NITs. Provision of INR 494.5 crore for setting up and upgradation of Polytechnics under the Skill Development Mission. What it did not contain! After an 18-year hiatus, Indira Gandhi National Open University (Ignou) found mention in the Union Budget again with Finance Minister making an allocation of INR 90 crore for the varsity. The funds include INR 9 crore that the university will spend specifically to bolster Open and Distance Learning (ODL) in the north-east region. The allocation has been divided into two specific categories INR 40 crore for the state open universities (SOU) and INR 50 crore for implementation of approved schemes of IGNOU. The university, which celebrates its silver jubilee in 2009-10, is planning major expansions this year. “This allocation comes as a boost to our plans for expansion and consolidation. Apart from a campus in the north-east region of the country, we are also planning to open more centres abroad,'' said V N Rajasekharan Pillai, Vice Chancellor of IGNOU. Also, IGNOU is planning expansion in Africa and South Asian countries as well in developed countries like Britain. The university is working on a proposal from University of Lincoln to set up an IGNOU Centres for India studies in the UK with cost of the project being shared equally by both the institutes. IGNOU had not been allocated any grants in the Union Budget since 1991, either for salaries or for any other expenditure. But the university, regarded as the most cost effective in the country, has managed to keep operations running. “We have been sustaining our operations all this time because of our effective use of resources. The government realises open learning has lot of potential and the special allocation implies the same,'' said Prof Pillai. The education sector is, as of date, not classified as an industry and therefore, there was not much focus other than “allocation & spending”. However, much need not be read in the budget. As Nasscom, the national trade body, says the government has made good by fulfilling most of its pre-budget demands, Digital Learning hopes that this step through the budget announcement will help the industry as well as the other stakeholders in the education community mitigate the impact of the current economic environment and help the country retain its competitiveness, at least in terms of information and communication technology. Welcoming the budget announcements made by the Finance Minister for the education sector, Bikram Dasgupta, Chairman and CEO, Globsyn Group has said that the budget has been balanced and has opened doors for education and made sufficient efforts for bringing in much needed reforms in the society. There are no specific allocations on Information and Communication Technologies (ICT) adoption within the country, especially in the context of relevant societal schemes and programmes. We believe there is an opportunity to transform this reality through world-class, pervasive ICT infrastructure to accelerate inclusive, equitable and sustainable growth. Taking the focus on education and employability further, for instance, the government could look at initiatives like encouraging telecom operators to offer an affordable 'Education PC' – which includes a laptop, broadband and educational software and application services – at below INR 500 per month; a 100 per cent depreciation on capital investment in IT by companies and Income Tax rebates to individuals for acquisition of computers.